Electrician (Field/Mobile), Goole, £31k basic, £35k with overtime and call out, 17th Edition (Or equivalent electrical qualification), some mechanical and basic plumbing experience is beneficial. A straightforward manager is looking for a straightforward electrician to help keep high end restaurants and sport stadiums from having dirty dishes. As this is an mobile/field electrical role you will have a driving license and the 17th Edition. Some mechanical and basic plumbing experience will be beneficial. This company like to think long term and are loyal to their staff therefore, ideally you will be looking for a long term opportunity. As well as the chance to keep West Yorkshire's crockery sparking, there is a basic salary of £29,100, with a guaranteed bonus of £2,000 and overtime. We have placed people into this role who all take home around £35k. If this sounds like it might be for you clcik apply now. 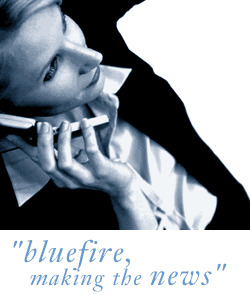 Bluefire Consulting is an equal opportunities Employment Business/Agency specialising in Trade and Services recruitment on a UK wide basis.